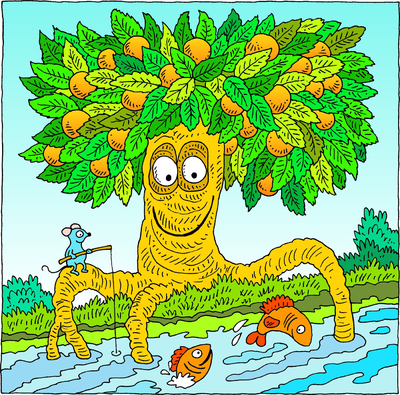 You are a tree planted along a riverbank, with roots that reach deep into the water. You will not be bothered by the heat or worried by long months of drought. Your leaves stay green, and you never stop producing fruit. In this metaphor (which I will keep going back to), what makes you stay nourished? When I first set out on my Agile Journey, I had so many questions about Agile. Some suggested I get certified as a Scrum Master. It seemed like a fair suggestion for someone who did not know a lot about Agile and Scrum. Attending a two day workshop and acing an open-book exam wouldn’t possibly make me a Master of Scrum, I wondered (and I still do). Others recommended several blogs/articles/books but it became daunting to keep up with an exponentially growing reading list. It soon became clear to me that I needed to plant myself alongside a river, or in other words, find a mentor who would then guide me through this journey. In April 2017, our paths crossed. Let me introduce you to my river – Joanne Stone. Joanne is an Agile Coach by profession and is very active in the Agile community. What inspires me about her the most is that she is passionate about giving back to the community. One of her experiments was to start a free mentorship program (did I mention free) for folks who were new to Agile and/or are curious to learn more about it. She proposed this experiment at Toronto Agile Community’s (TAC) Open Space in April 2017 and again at the AgileTO meetup in May 2017. I happened to be at both those events. Being new to Agile and curious to learn more, I jumped at the opportunity and signed up to be one of her first guinea pigs (had to use that since we are talking about experiments). Oh, did I mention, I was still a project management student back then, which should tell you that anyone was welcome to join as long as they were willing to learn and had the time to spare. So it began…the C-AMP, an acronym created by Joanne for Agile Mentorship Program. For the longest time I did not know what the C stood for but it was easier to remember so it kinda stuck and soon became just CAMP. Recently I found out from her that C stood for Coach! A group of six people started meeting every two weeks (mostly on a Wednesday, 5 to 6 PM) from June to December 2017. Initially we booked breather spaces and split the costs but eventually she managed to get us a free space at her workplace. What was interesting about this group was not everyone was starting their journey like me, some were Agile practitioners wanting to master their skills which was great because now we could also learn from each other. We created our own learning backlog and prioritized the items in the backlog based on what the group wanted to learn. Joanne wanted us to drive the learning and not have a predefined set of lessons. Since there were a few newbies like me, the first few sessions were spent on creating our working agreements, a shared understanding of the Agile Manifesto, and the Scrum Framework and it’s values. Then some days it would be Joanne giving us more insight into a concept, a ceremony, certain tools & techniques. The other days we would bring our questions or real-world challenges and she facilitated a lean coffee session. Once we did a retrospective workshop where I was able to practice facilitating my first retrospective session with this group. She even brought in a friend (Shahin Sheidaei) to help us understand more about coaching. I do not prefer boasting about myself but I have to point out that I became Joanne’s first success story when I got a job as a Scrum Master in October 2017, without any certification. Naturally, word about Joanne’s experiment and it’s success spread within the Agile community because our group talked about it all the time during meetups and more people signed up through word of mouth. Several senior Agile practitioners from the local Agile community also offered their help to facilitate these CAMP sessions whenever possible. In January 2018 with the help of one of her guinea pigs, Hugo Medeiros, two CAMP groups began, every alternate week. I asked if I could re-join and she gladly accommodated my request. Apart from the group size which was limited to not more than 9 people to encourage an intimate learning experience, the only other thing common between both the groups was that they followed the same format. Each created their own learning backlog and progressed through those items based on priority after creating working agreements, a shared understanding of the Agile Manifesto, and the Scrum Framework and it’s values. It was interesting to see that both groups had similar items in their backlog but their learning priorities were different. Our last session is in the first week of July where both CAMP groups will meet for the first time in a more social setting. The next batch(es) will begin in September 2018. Dates and number of CAMP groups to be decided. PS – Not having a certification is considered an asset..lol..just kidding! Spending time each week to plan these sessions, facilitate them, and to make sure every participant is learning along the way, all this without getting paid to do it, that is who Joanne is, a true river. Want to be that tree planted by the riverbank? Join CAMP by sending an email (for now) to Joanne at joannestone@rogers.com. Interested in helping facilitating CAMP sessions? Let her know as well because the more facilitators we get, the more number of CAMP groups we can run each week. I count it as a privilege to have been that tree and now look forward to helping her in any way I can to keep CAMP going. Next What can the local Agile Community do for you? I don’t know much about Agile, however, this explains that this community is so helpful, and this is the future. Joanne is wonderful, and so are you, Noel. Wish you great success. Thanks Rahul! Appreciate you taking the time to read and comment to let me know your thoughts.